After our enforced 'rest' yesterday John decided that for today's entertainment we should go out cycling again - but I must admit, initially I hadn't got much enthusiasm. And this was re-enforced when he said our destination would be Haldon Forest - a place that would require a lot of up hill work. Now, you might think that with our battery bikes going uphill wouldn't really pose a challenge, and to be fair, the extra help does make it much easier. However, you still have to pedal and work hard because the bike only assists you - if you stop pedalling - you stop dead (and possibly fall off), and then it's usually quite difficult to get going again! Anyway, we left home just after 10.30, and we hadn't been out for 5 mins when I changed my mind and decided I was enjoying myself after all! Maybe it was the Spring 🌷 like feeling in the air, maybe it was the singing 🐦, maybe it was the 🌞, or maybe it was the endorphins produced by the exercise - but whatever it was it felt very good and put a smile on my face. Now like I said, the hills were steep for the first 7 miles or so but that allowed us to ride up onto the ridge where Haldon Forest is found, and when we arrived at their Visitor's Centre we stopped for coffee and a look around to see what was available. The place quite reminded us of Sherwood Pines in Nottingham or maybe Seven Stanes on the Scottish Boarders, because similarly, the site is managed by The Forestry Commission and offers miles of dedicated off road cycling trails for all abilities. However, following all the recent rain many of the tracks were muddy and unpassable for our bikes but we did traverse along the Discovery Trail for a short way. Here John played a xylophone, I hid in a 'wigwam', we gazed with sorrow at a plaque dedicated to a little girl called Billie who had lost her fight against cancer, and we were also stunned by the views of the Devon countryside that stretched out below us. Then, as I always say - what goes up must come down, and it was here that John reassured me that we'd done the worst of the hills - but OH NO WE HADN'T😕, there were loads more waiting to make us huff and puff! But along with the UPS there were plenty of long swooshy DOWNS that eventually led us back into Exeter where we'd decided we'd stop for lunch again. However, it was quite a quick and wet lunch cos as soon as we got our sarnies out a huge black cloud floated overhead and down came the 🌧😟. Luckily, as we got underway again it soon stopped and the warm 🌞 soon dried us out, so as lunch had been a bit of a damp 🦑, we decided to go and sit on Dawlish Warren's sea front to finish our coffee and cake - and while we were there we could almost have almost got a sun tan. The 🌞s very warm rays warmed us as we watched the incoming tide and the waves exploding on the sea wall and it almost seemed that the waves were trying to wash the numerous sea🐦 off their perches on the groynes. Finally, at about 4.30 we pedalled home (with a stop at the local shop to replenish our goodies), with a total mileage of 31, and we both agreed we'd had another lovely day out. 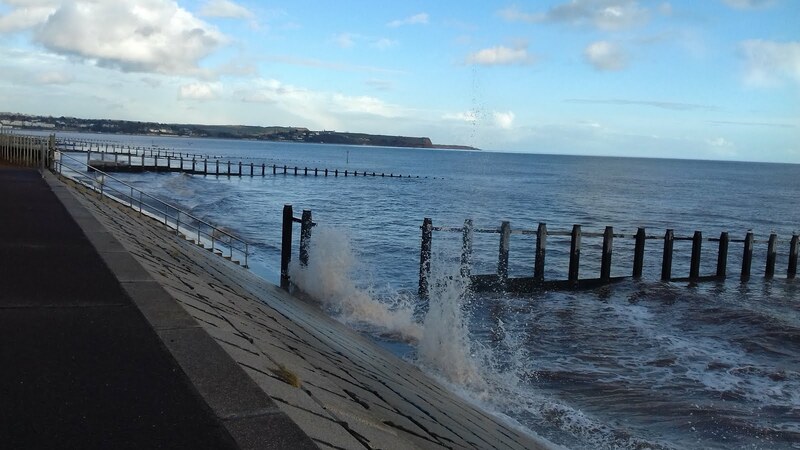 Walking has been the order of the day for the last 2, and on both of them we needed to walk the 2.5 miles down onto the sea front at Dawlish Warren to start our expeditions. On Wednesday we turned Left from there and took another stroll down onto the Warren itself, mostly to do a bit of bird spotting. However unfortunately, on that count we were disappointed, maybe because the tide was almost fully out. All we managed to glimpse were the usual obligatory sea side gulls and a few wagtails flirting up from the sandy shores in their quest to catch insects. But that isn't to say we were disappointed with our outing - we really did enjoy it because, once again, the sun was out to play, and when we felt we'd walked far enough, we sat on a grassy bank overlooking the ocean and feasted on our picnic. Later, we also had the pleasure of a return meander along the sea shore as the incoming tide lapped around our feet making us laugh as we tried to avoid getting wet boots. On Thursday we decided to treat ourselves to lunch at the Smugglers Inn, and it was probably a good job because the day was much colder and windier, so although we were plenty warm enough while we were walking, I think we might have developed icicles if we'd sat for long! Once we got down to the Warren we turned in the opposite direction to yesterday and proceeded along the sea wall to Dawlish. We did pause there for a quick coffee but the call of a hot dinner and a pint soon had us wending our way up a very steep hill to the pub that was our goal. And a very good goal it turned out to be! We both enjoyed their Rare Beef Carvery along with a pint of Dartmoor Legend 🍻, and this re-energised us for our walk back. Our homeward journey took us back down the steep hill through a pretty garden that overlooked the town of Dawlish and the coastline beyond, and from that high vantage point we had a much better view of the red sandstone cliffs. These make up part of the Devon and Dorset Jurassic Coast which is a World Heritage Site that starts at Orcombe Point near Exmouth and extends to the Old Harry Rocks near Swanage. Then soon after that we were back on the part of the sea wall, that along with the railway line got washed away in the ferocious storms of 2014 . Today is a very exciting day for us, but before we got to the exciting bit we had to undertake some mundane chores! These included cleaning up before moving 'house' over to Woolacombe, and restocking our empty cupboards with more goodies than usual! Why? Well it's because Sarah Paul and Thomas are coming to join us for the weekend, and we are very VERY much looking forward to spending time with them. We landed on site at about 3ish, and since then we've taken the time to thoroughly explore our new surroundings, as well as to nip into The Old Mill to sample their wares - Fox ale which was very nice. Our family haven't arrived yet but we don't think they'll be much longer, so for now I'm going to sign off and I'll let you know how we get on soon.